I waited for MONTHS for this palette to come back in stock and when I got the e-mail notification from Sephora last week that it was back I dropped everything and ordered it! There isn’t anything new going on with my face makeup today, so I won’t go into detail about that, but these eyeshadow are AMAZING!! This was my first time trying out ABH eyeshadow and if the singles are anything like the shadows in this palette then I seriously need all of them! 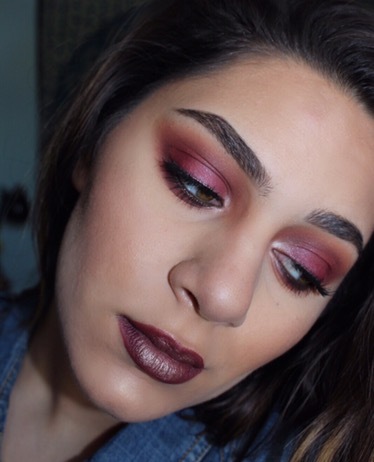 I decided to do something really dramatic and smokey for this eye look because I wanted to use as many of the shades as I could. I have only used this palette one one and I am already obsessed. They are so increasingly pigmented, but blend effortlessly. 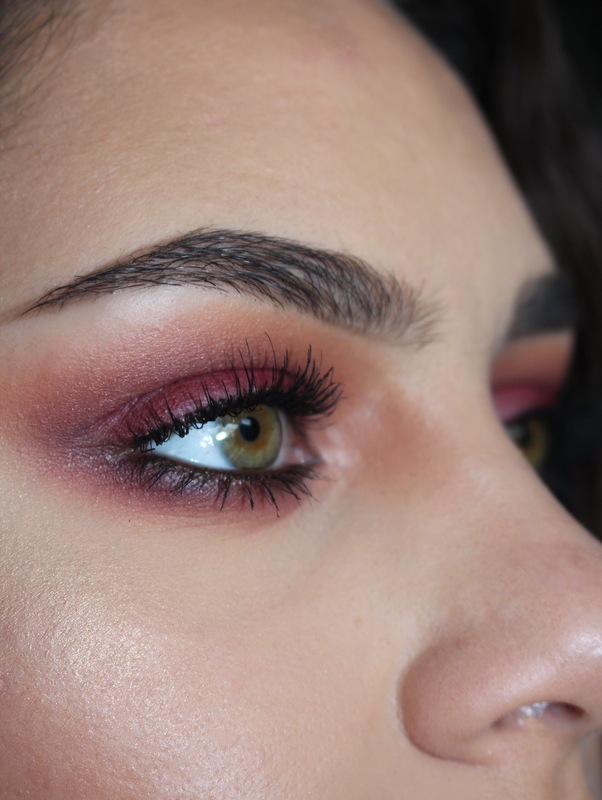 They do have a good amount of kick-off, but that is something that kind of goes hand in hand with intensely pigmented eyeshadows (especially red shades). After just one time using this palette, it has already become a favorite and probably something that I will dip into every time I do my makeup. 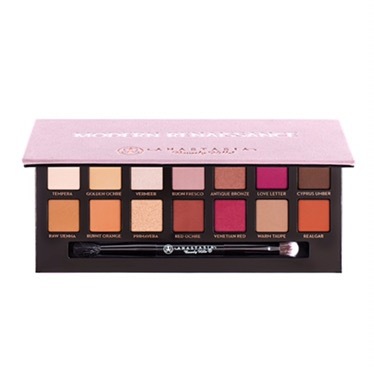 If I could choose individual shades and put them together in a palette myself, it would look pretty much like this Modern Renaissance one. Now I understand why this thing is always out of stock, but if you are contemplating purchasing it DO IT!! Hope y’all enjoyed this MOTD and be sure to follow me on Insta for more pics @marinaleebeauty!! Your eyes look gorgeous, such pretty colors!